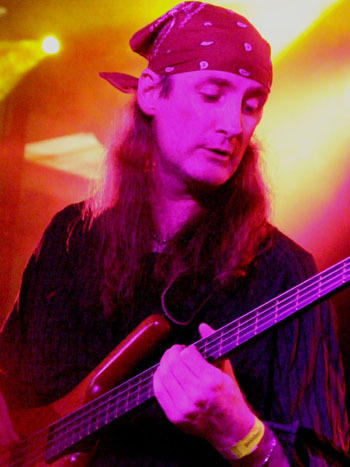 The MKI version of Karnataka disbanded in 2005 and bass player Ian Jones is now developing MkII with singer Lisa Fury and producer Steve Evans. We caught up with Ian in advance of the band's Cambridge Rock Festival appearance, when he told us about the new line-up and his Chasing The Monsoon project. You can hear exclusive edits of Chasing The Monsoon in the Cambridge Rock Festival podcast (No. 6) first broadcast on UKCity Radio. Video interview (Cambridge Rock Festival 2007)! !